The results for todays shoot are on the results page and everyone had a decent shoot despite the damp conditions. Many thanks to Sid who replaced the sensor on Target 2 giving us a full complement of targets. The club house construction continues with most of the improvements being inside in terms of flooring and partitions etc. The verandah floor should go on soon as the supports and gravel base are in place. 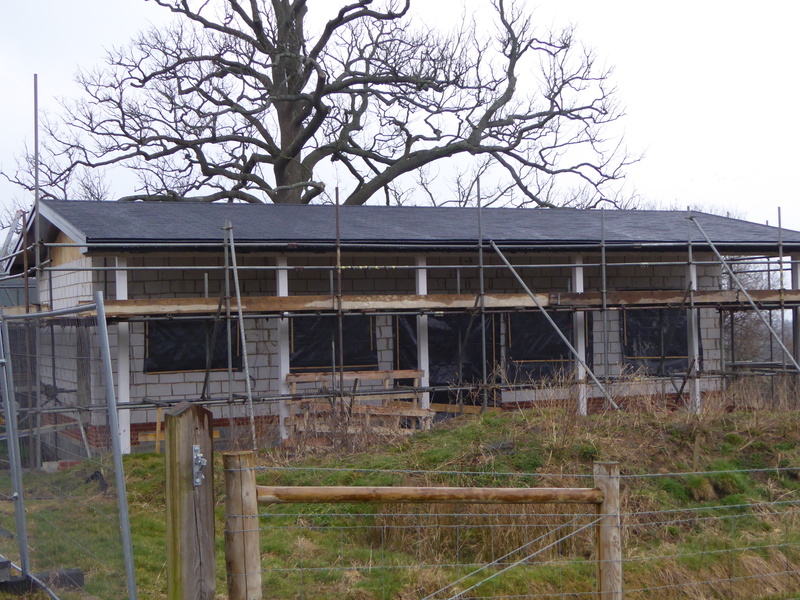 AS you can see from the photo the roof is on and completed so we can make significant progress internally. This entry was posted in Competition, Range on 03/15/2015 by Captain Comms.